From the billing menu click on View/Pay invoice. 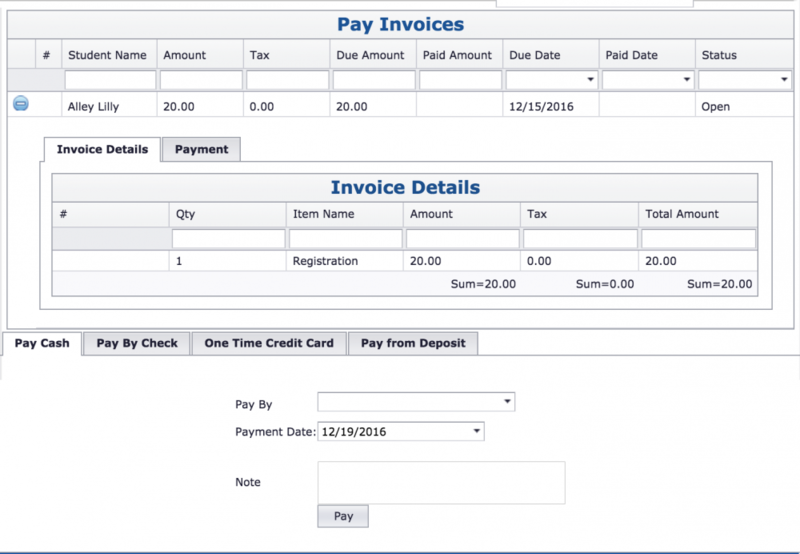 This menu option allows you to simply view individual invoices or make a payment on existing invoices. The screen will first display all invoices. You have the option of narrowing your search by entering in a student name, due date or other search criteria. You may also view only open invoices by selecting the status of OPEN. Click on the plus sign. The invoice will expand and the billing details are displayed. 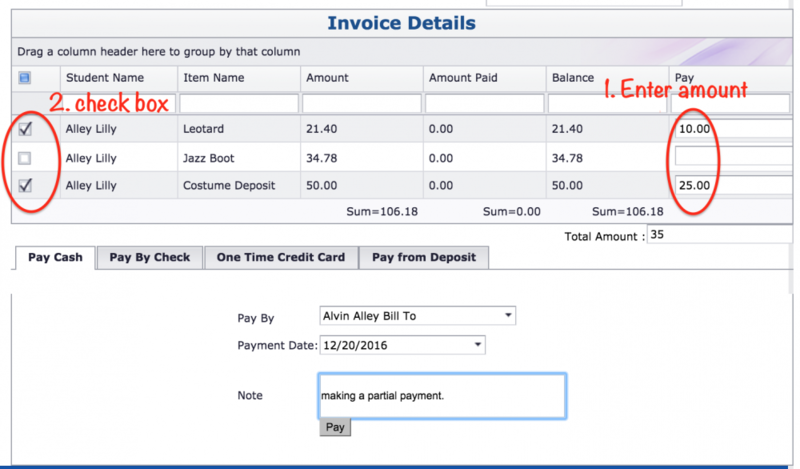 Select Partial Pay in front of the invoice line you want a payment applied. 1st Enter amount – a partial amount can be entered on each line item. Leave blank if not applying any payment to an item. 2nd Click the checkbox on only those items to which you are applying partial payment You will see the Total Amount box calculate the total of the payments to be applied. *When using Partial Pay on invoices, all future payments on that invoice must also be made using Partial Pay, even when paying off the balance in full if using View/Pay Invoices.